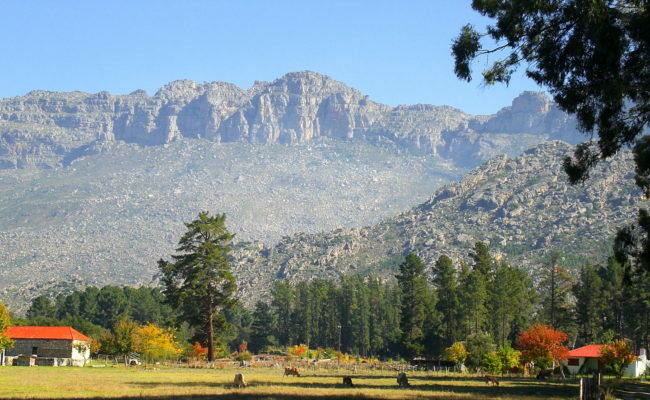 Petervale Guest Farm, camping and accommodation, is situated 140km from Cape Town, about 10kms out of Ceres at the foot of the Skurweberg Mountains. 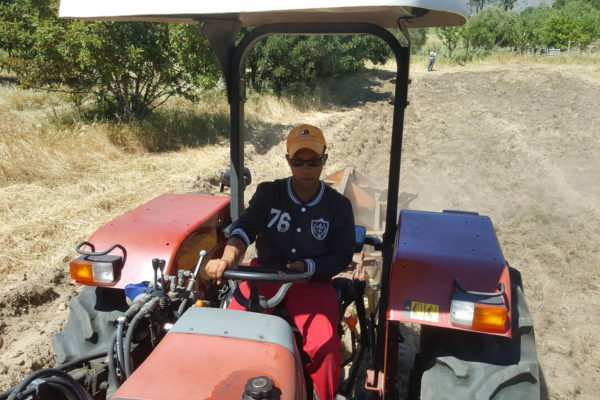 We use only organic farming methods. We have a herd of cows which are milked by hand as well as apples, pears, almonds and vegetables. 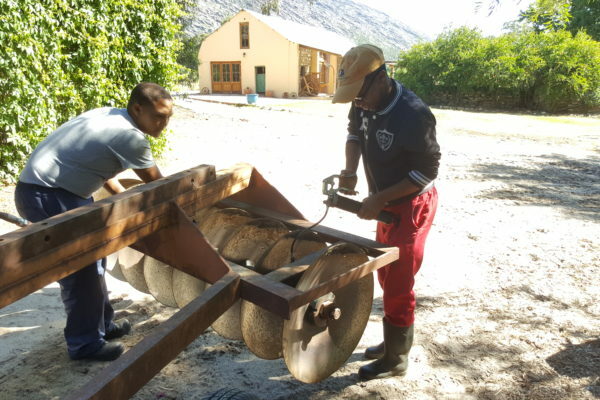 Petervale has an abundance of wildlife, birds, buck, fish etc., due to our responsible, organic farming practices and respect for nature. Petervale’s self catering cottages are the perfect getaway for people of all ages. 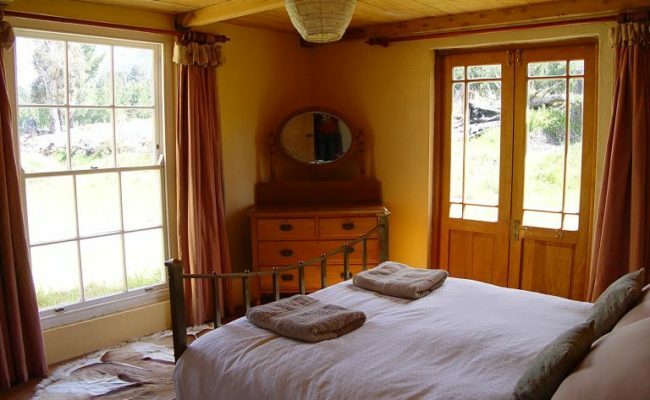 They are fully equipped and furnished in an old ‘farm style’ theme and include good quality bedding and towels. Each cottage sleeps four persons and can sleep an extra two persons as well. 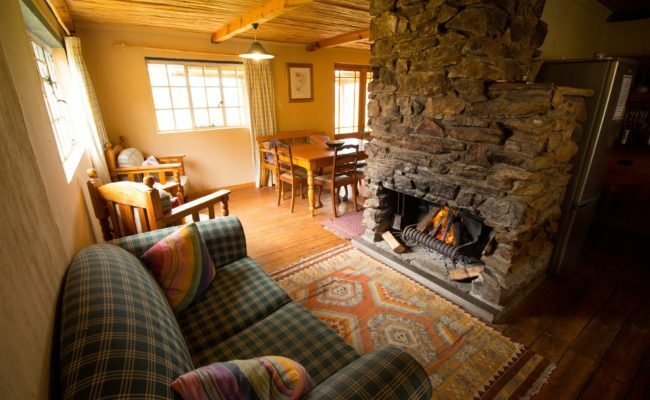 All three of our cottages have indoor fireplaces as well as a patio and outside braai facilities. 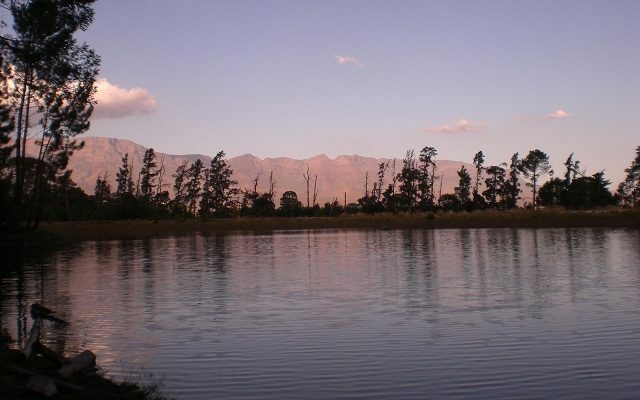 Petervale’s campsites are nestled in the forest and overlooks a big beautiful dam! 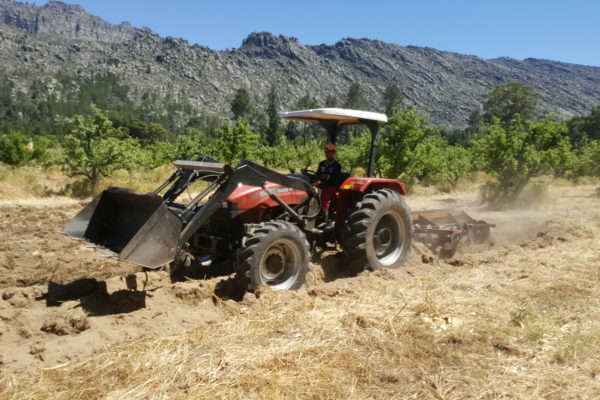 Get away from the stress and rush of city life, relax, unwind and recharge and take in the beautiful views of the farm and the Ceres valley. Read more about our camping…. 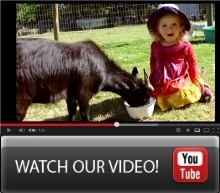 Petervale Guest Farm offers an exciting range of activities for children and adults alike. The kids will enjoy the farmyard animals and petting zoo, with lots of fun farmyard activities like milking cows and feeding of farm animals. For those into bass fishing and water sports, mountain biking, and hiking Petervale has lots to offer. 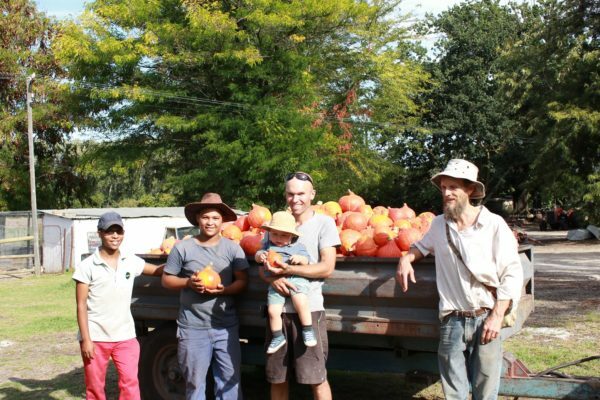 Petervale Farm is an 89ha organic farm, situated in the Ceres Valley, South Africa and has been in the Roux family for 4 generations. 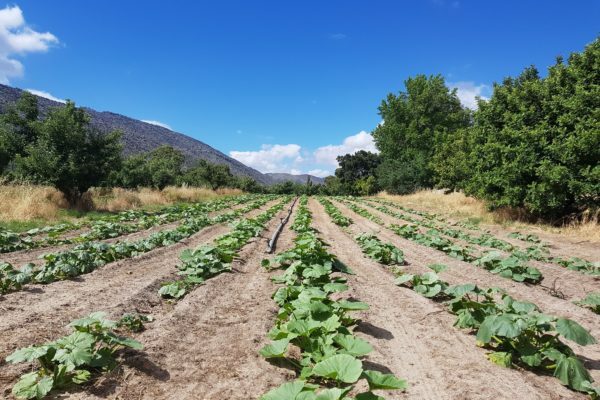 The farm itself is extremely fertile and supports many different types of crops. 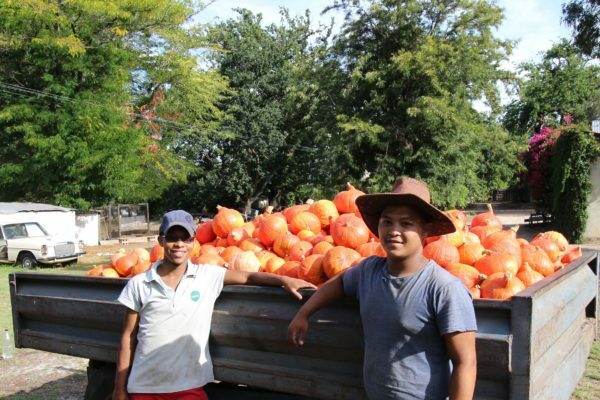 The farm was converted in the year 2000 from a conventional apple and pear farm to a diversified organic farm. 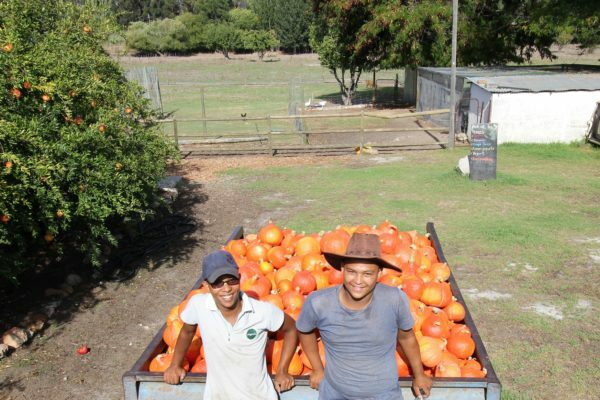 Read more about Petervale Guest Farm…. Petervale is the food upon which relaxation feeds! So happy to have discovered this piece of paradise. I am sure we will be returning again and again. This is my number one destination this year! Farm animals, sunset boating, bonfires and laughter. Love it – Love it – Love it! In two weeks we have been back to Petervale three times. Never have we stayed at a place where the owners are so friendly and helpful, the environment so clean and pure. This is definitely what paradise is made of and we can’t wait to come again!! Wow what a fantastic place! The accommodation is perfect and Reuben was incredible. We all enjoyed the animals.Don’t forget to take apples for the horse. The fresh milk and apple juice were delicious. Swimming in the dam was great and the waterfall in the hills is the best I have seen. Can’t wait to take other people there this Christmas. Staying at Petervale was an awesome experience to say the least. A real paradise, the kids were so excited to work and play with the animals, the dam is clean and warm, the owner is friendly and helpful. We felt so at home. We miss it already. Will definatly be back asap. Well done Reuben. Petervale is absolutely a piece of heaven. Doogy, Bambi, and the peacocks, The fresh wind in the trees on a hot summer’s day, the dam, the farm animals, the peace ,quiet and tranquility and a fun place for the kids and also the old, The awesome scenery at the river and falls, the wonderfully sincere hospitality of Reuben and his Team. East West to my family, Petervale stays the best. We recently stayed in Petervale's self catering accommodation and had an awesome time. There are lots of fun things for the kids to enjoy and nice hiking trails as well. Petervale is an unspoilt paradise. Keep up the good work. This was a perfect weekend.The extra effort into making this a rustic earthly piece of heaven is fantastic the farm animals is such a bonus for kids. I am proud that there are individuals like yourselves trying to bring back the basics of life back to people. Fantastic experience and we will make this trip more often. We stayed over the weekend past and what a great place, a real little gem! So wonderfully peaceful, a very scenic little hike to the waterfall and the animals are real bonus for the kids, especially little Bambi. We’re already planning our next trip! My recent long-weekend stay at Petervale was the most relaxing time I’ve had in a long time. What an amazing place, including shady campsites, decent ablutions, a wonderful clean huge lake to swim in, hike to a waterfall, lots of fun farm animals and super-friendly and helpful owners. This place comes highly recommended and I’ll definitely be back for a visit in the very near future. Well done Petervale! A very belated but truly heartfelt and sincere thank you for the wonderful time that we had at Petervale. 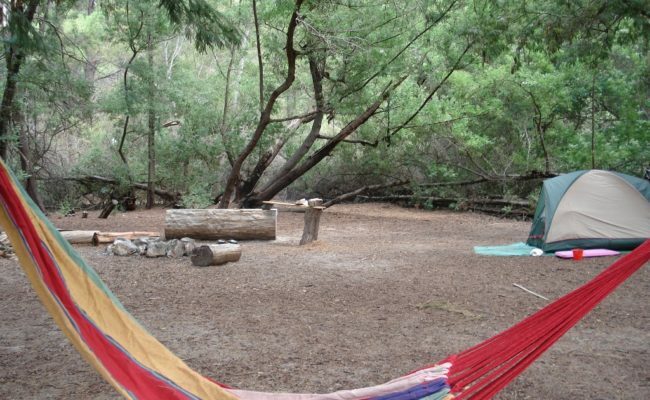 The campsite was divine and the atmosphere so peaceful and relaxing. We loved walking down to the farm every morning to feed the animals - it was the highlight for the girls. We will definitely be back and my sister and her family are also keen to come on the next trip. Perhaps next time we will book Tipi 2 as well. As for the almonds and the apple juice, they were totally delicious. I am saving the last bottle of juice for a special occasion. And we loved the fresh, fresh water. 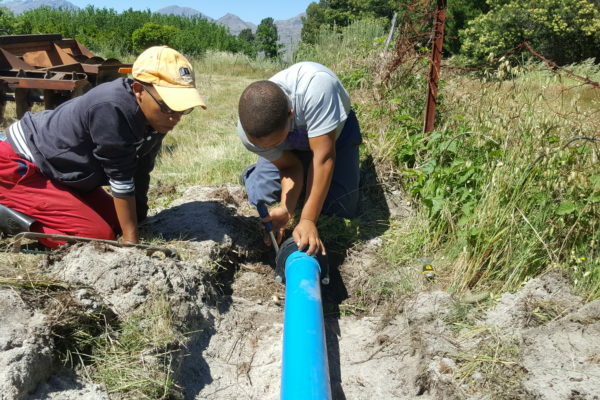 Cape Town water just tastes disgusting after drinking Petervale's... Missing that the most. Missing everything about the farm actually!! 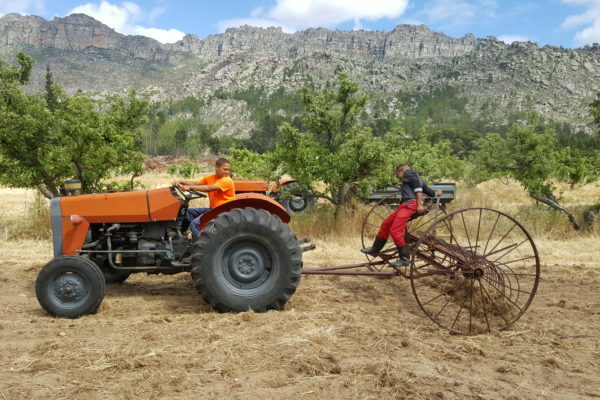 Come and enjoy farm life at its best!